Apparently Samsung made the GO signal for users to turn off their Galaxy Note 7. The Galaxy maker halted the sales of the infamous handset with the series of customer complaints despite trying to correct it for the first time. This is in line with the handset's battery issues with its initial and replacement units. 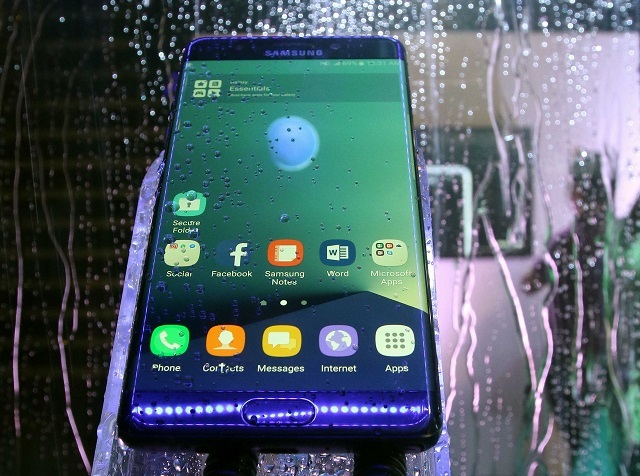 The Samsung Galaxy Note7 was released in August gathering record-breaking pre-orders sales. However, after getting their respective handsets, multiple number of users complaining that their devices were catching fire. It also tallied multiple cases of injuries and security issues. This year, the launch was days earlier from last year's Note 5 and a month earlier compared to Note 4 released two years ago. Samsung was very bold to explain the overheating issues of the Li-Ion batteries in the first wave of Galaxy Note7. It even halted producing the phones and recall this batch of smartphones. The Korean giant launched a replacement program to first batch of units which started in as early as September 19. However, these handsets have also been reported to burst flames and smoke. These include US Southwest Airline plane incident, the one exploded in a user's night stand and the unit that caught fire in a child's hands. The company now advises all consumers to power down their Galaxy Note7 and stresses the urgency to replace it with another unit, probably Galaxy S7 Edge. Users could also opt for a refund.